Sat., July 6, 2013, 2:04 a.m.
Police and federal investigators on Friday were searching a house in the 2100 block of East Lacrosse Avenue as part of the investigation into last week’s bomb that blew up under a car on North Monroe Street. Two suspects were arrested on federal charges of illegal possession of explosives and firearms in connection to the June 29 bombing of a car in North Spokane. Robert Showers, 45, and Siaosilepelenise Tuaimalo, 31, are in custody after a federal investigation that went late into the night Friday evening. On Friday at about 2 p.m., the Bureau of Alcohol, Tobacco, Firearms and Explosives executed a search warrant at a home on the 2100 block of East Lacrosse Avenue. 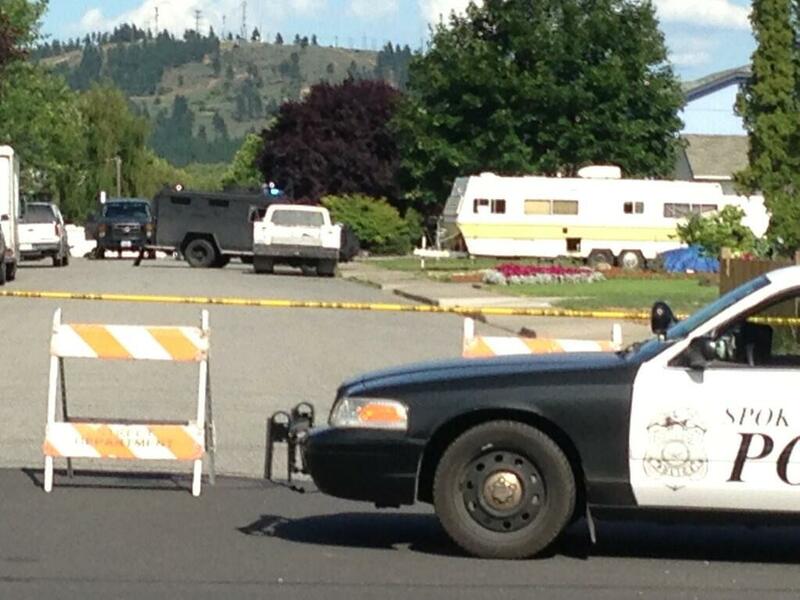 Agents from the Drug Enforcement Administration, Federal Bureau of Investigation and the Spokane police SWAT team aided in the investigation. Investigators used a bomb-detecting robot to search the house before officers entered. Neighbor Dave Newman said he saw six people being lead from the house in handcuffs, and that the home was inhabited by squatters he suspected of illegal activity. Local and federal law enforcement responded to an explosive device that detonated under a car at about 4:30 a.m. on June 29 in the 5800 block of North Monroe Street. There were no injuries in the blast. The damage was confined to the car. Showers was charged with unlawful possession of explosives. Tuaimalo was charged with unlawful possession of firearms. Published: July 6, 2013, 2:04 a.m.